Last week, a good friend came to play for the whole day. 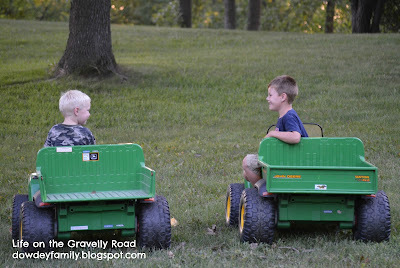 The boys had so much fun. 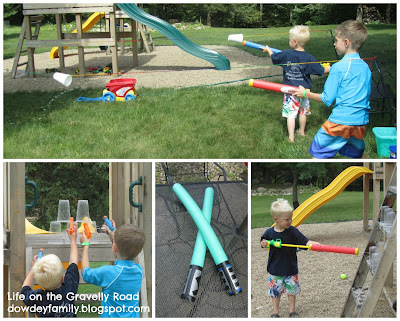 The biggest hits were the water gun games and our new pool noodle light sabers. Then Monday evening another friend was over. Out came the gators for lots of driving around the yard. Later they were driving a big ship (playset) and swimming to their island home. Yesterday we had lots of fun with friends that we don't get to see often enough. 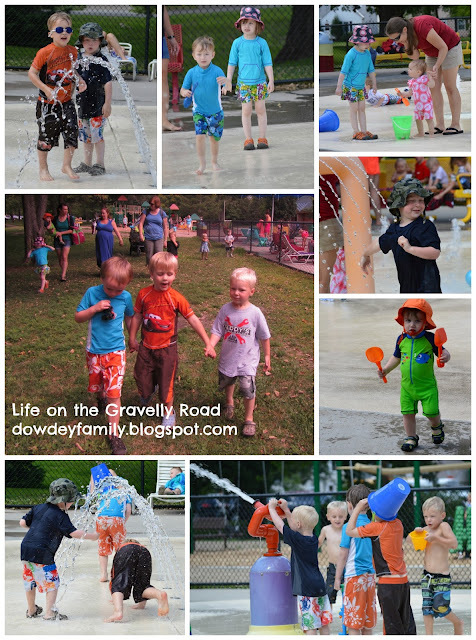 We met for a picnic and play time at a park that included a splash pad. Trying to soak up the last weeks of summer the best we can! What a fantastic time they have been having, it's great when it's sunny as there is so much fun to be had with water play. Thanks for linking up and sharing your outdoor fun with Country Kids.